Once you’ve put down the initial money for a headset, you can enjoy plenty of VR experiences quite inexpensively. Some of them are very spooky. Others are quite horny. Many of them are very pleasant. 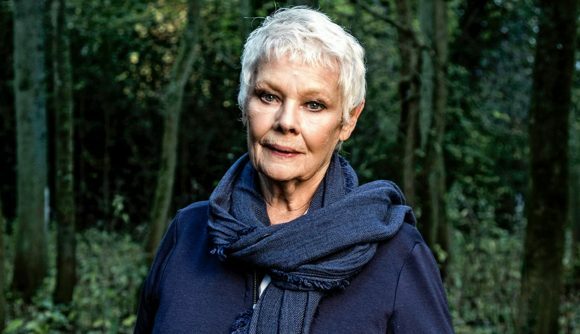 But is any experience quite so pleasant as exploring Dame Judi Dench’s garden while she tells you about her favourite oak tree? Yes, friends, our list of the best VR games on PC is about to be turned upside down. For just $3.99 on the Oculus store, you can pick up Judi Dench: My Oak Tree VR. According to the official description, you will travel “up the trunk and deep within the branches of Judi’s favourite oak tree” while you learn about how trees can save the planet. Marvel at the “incredibly detailed 3D scan of Judi’s 200-year-old oak tree.” ‘Ooh’ at the plant’s 260,000 leaves “the equivalent of three tennis courts.” ‘Aah’ as the branches transform “into measurable volumetric cylinders” which reach “half the height of Mount Everest.” Most of all, enjoy the presence of the Shakespearean actor turned James Bond’s boss turned international treasure. Judging by the fact that the official site lists this as a “VR experience” with a runtime of about four minutes, you might want to keep your expectations in check. Special shout out to David Jagneaux on Twitter for bringing this very notable bit of software to our attention. While this just hit the Oculus store last week, the developer lists an original release date of 2017, which lines up with the production of a BBC documentary on Judi and her trees that had its own VR component. There doesn’t seem to be much video of this VR experience, so you can instead enjoy a trailer for that documentary above. As near as I can tell, this is Judi Dench’s first digital appearance in any role other than M. While this particular bit of software is a bit thin for my liking, sign me up for an eventual collection of her revealing all the earth’s secrets.